"Since its Olivier and Evening Standard award-winning premiere season in London in 1979, La Sylphide has been presented by many of the world's leading ballet companies to worldwide acclaim. The Peter Schaufuss production has also been seen by millions around the world in the BBC's award-winning TV production. 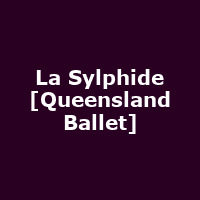 Australia's Queensland Ballet, under the direction of international former star dancer and author Li Cunxin, known for his bestselling book and movie Mao's Last Dancer, will be making its London Coliseum debut with La Sylphide. The Company now enjoys international acclaim and holds a permanent place as one of Australia's Premier Ballet Companies."